I’ve previously been in one situation and I’m currently in the other. It can be tough to figure it all out and I’m always looking for ways to better organize our space. As the kids get older and are no longer using certain items, those things need to be moved out as other things make their way into our homeschool. When items aren’t immediately given a home that’s when the shuffling game begins. And I find myself shuffling papers and other items around to make space during the day. As I discussed in the last post, paperwork just in and of itself can be totally overwhelming and a huge undertaking to get it all organized. But thankfully, there are many options for organizing it. And there are options for books and supplies too so let’s take a look at those. Most homeschoolers accumulate a lot of books. Books are good and I love books but I don’t love when I have no place to go with all of them. One of the best solutions is also one of the most obvious and that is bookshelves. In our home we have a large book shelf in our living room, our girls have a shelf in their room and so does Kellan. We also have a bookshelf in our basement for books that are beyond the current reading level. So that’s pretty many bookshelves but up until this school year our school room lacked a good shelf. 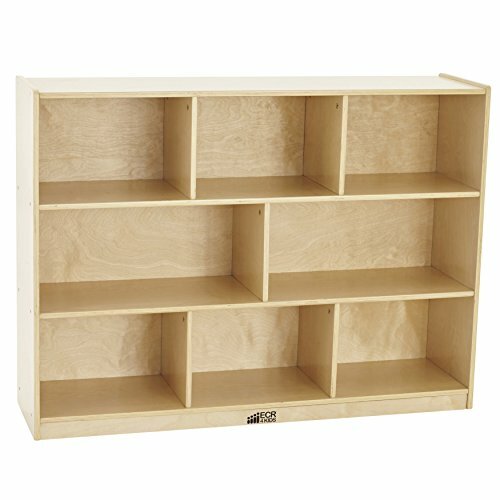 This year, we added a shelf in our school room and now I can actually store many of the school books we need right in the school room. And getting things off the floor brings me a feeling of calm rather than stress from constantly tripping over books. So, if you have the space, think about adding a bookshelf. Or another bookshelf. If you have a limited budget, you could consider purchasing one used off of Craigslist or buying something of lesser quality. The one we have in our basement is pretty cheap and not something I’d want in the main part of our house, but it’s out of sight and holds a lot of our “extras”. When I want to keep books or workbooks in a space other than a bookshelf, I put them in a fabric storage cube Full Disclosure: We earn a commission if you click this link and make a purchase, at no additional cost to you. . This is the same idea as storing paperwork in a fabric storage cube that I talked about previously. 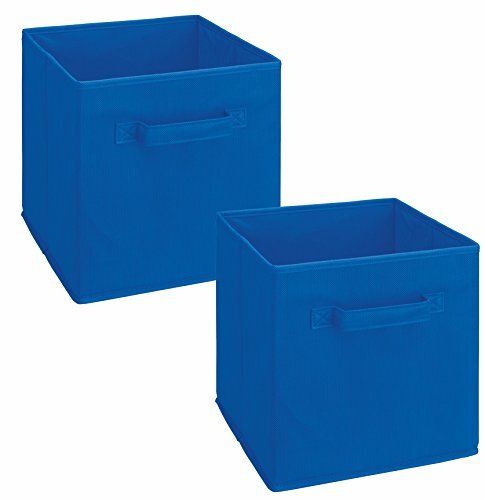 I have a couple of fabric storage cubes in our hall closet and in one of them I store larger books and workbooks that we don’t use often. Fabric storage cubes are inexpensive, perfect for small spaces and a great way to store things in groups. 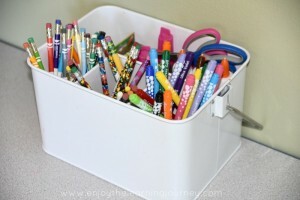 Use small bins to store manipulatives, paints, science supplies, stamps, markers and more. 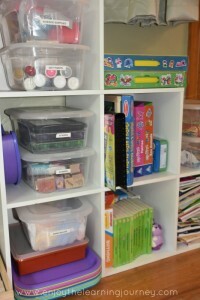 I have a lot of little bins in our school room and it really helps to keep materials organized. Not everything fits in there but many items do, which helps tremendously. 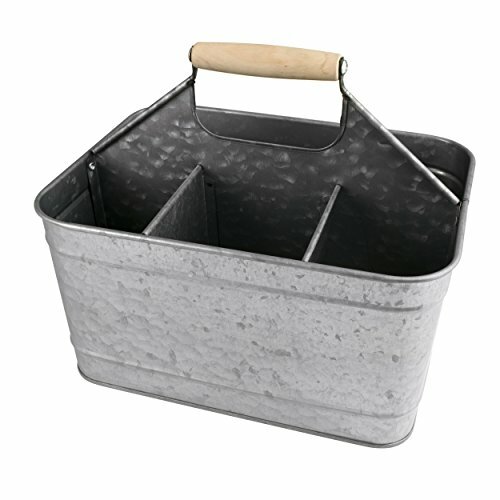 And then for pencils, scissors and glue we use a metal utensil caddy (we actually have two), similar to the design of this one Full Disclosure: We earn a commission if you click this link and make a purchase, at no additional cost to you. . I have found it best to keep all, or at least most, of the materials we aren’t using at the moment out of our school area, since the space is fairly small. We have a few different areas in our basement, and our children’s closets, where we keep games and other items. When we need them, then we bring them out into our school room rather than try to cram it all in the school area. If you are just beginning to organize, you’ll want to think about the things you’ll need and use the most and keep those items close to you and then work out from there. If you are struggling to figure out where to go with everything, find a spot close by for the items you’ll definitely need. If you aren’t really sure how you want to organize it that’s ok. Just pick a spot to start and you can always move it later on. Don’t worry if it’s not perfect the first time. The main thing is that you assign a designated home so you aren’t constantly shuffling things around to get it out of the way. One other suggestion I have (and I may just be talking to myself here) is don’t buy more. Going to thrift stores or craft stores or doing a little Target trip can be so much fun. But when you go and buy more while you are there, it just brings more stuff into the house. If you really need something that’s fine but when you don’t really need it then you are just adding clutter and stress into your home and homeschool. It’s easy to buy something when it only costs a dollar or two but if we don’t think carefully enough before we buy that item, it actually costs us more. It costs us our time trying to figure out where to put that item and also the time to manage it. For the times when you do need to buy something then you can use the One In, One Out rule. When one item comes in the house then one item has to go out of the house. 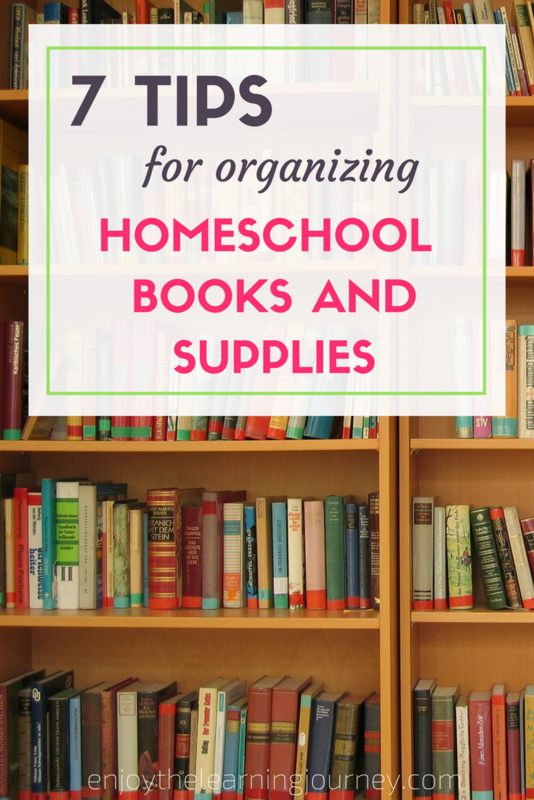 If you have other methods that have worked well for organizing your homeschool books and supplies I’d love to hear about them! Please let us know in the comment section below! 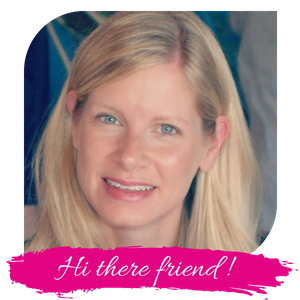 To start at the beginning of this series, be sure to head over to Homeschool Organization ~ 5 Days of Tools & Tips. 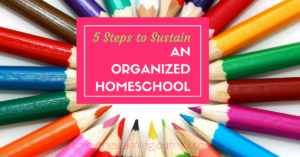 Or pop on over to the next post in the series, 5 Steps to Sustain an Organized Homeschool.